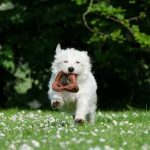 Tug of War With Your Dog - Play Safe, Play by the Rules | Woof Report | The best email newsletter for dog lovers. You play Tug of War with your dog, but do you play it safely? Learn how to best play this game your pup loves. Your dog lives for it. He longs to play it. But you have your doubts about Tug of War. There’s all that growling and teeth-gnashing involved, plus your dog’s slobbery refusal to surrender the tug toy. And don’t get us started on his victory lap when your top dog wins. 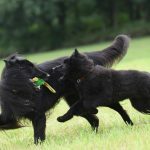 We have to wonder, does Tug of War foster aggressive behavior in dogs? Woof Report got the straight story from Mike Wombacher, Bay Area expert dog trainer. That sounds great, but how does it play out in a real-life game with your tug of war super pooch? Follow along below for Mike’s rules in action. But keep in mind, Tug of War is not for every dog. If you have children or others that play with your dog and don’t adhere to the rules, the game can teach unsafe behaviors. Play it safe, play by these rules, or don’t play the game at all. First, you initiate the game and second, no biting. You decide when the game begins. It’s as easy as picking up your dog’s tug toy or giving a verbal cue like ‘let’s play’ with a wag of the toy. 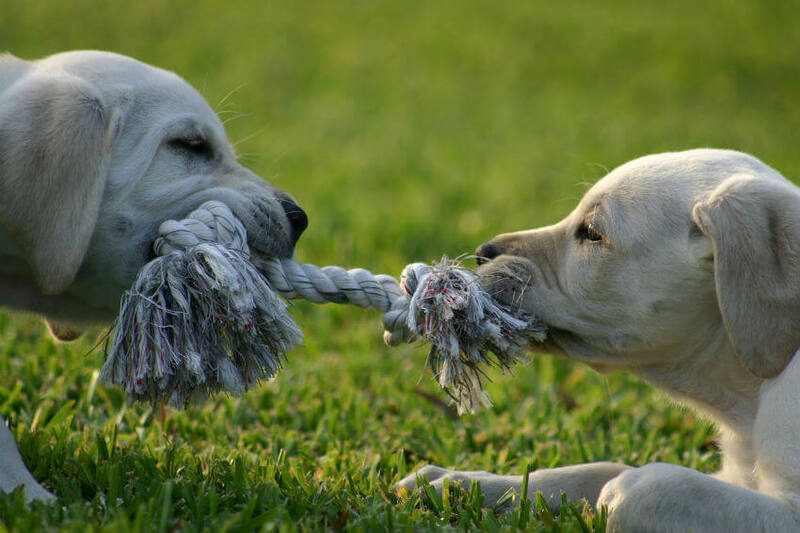 For Tug of War, make it difficult for your dog to avoid biting you by moving the toy quickly and unpredictably. Why do this? To teach him to be extra careful with his mouth, no matter what he’s doing. If there’s biting, your dog gets an immediate verbal reprimand and the game is momentarily over. More biting and repeat the reprimand and then game is over for good. Throughout the game, give your dog random “off” or “drop” commands (pick only one cue) upon which he should immediately release the toy. Do this at 30-45 second intervals. 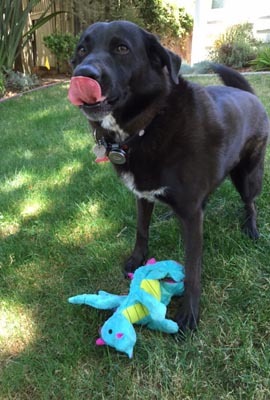 Reward your dog by giving the tug toy back and tell him “take it” and resume the game. 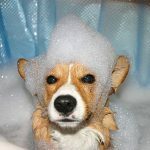 You can also work up to adding obedience commands while playing too, for instance, with the cue “off”, your dog releases the toy and then ask him to sit or stay before he’s rewarded with play again. Be sure to let your pup win the game sometimes and savor his glory. 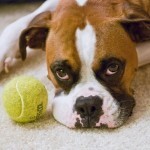 If your dog will not let go of the tug toy with a verbal command, then teach him to release it. Stop tugging and give your dog the “off” command while offering a treat or alternate toy in exchange for the tug toy. When your dog lets go, he gets the treat or another toy, and soon you can ask your pup to release the toy without a command alone. This will teach your dog it’s okay if someone takes away his toy because he’ll get something of equal or greater value in return. 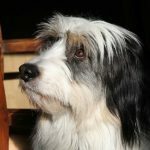 Let’s look at what your dog learns. 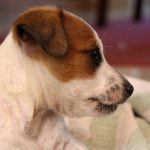 You initiate the action and no matter how stimulated your dog is, there’s never an excuse for biting and his “off” command becomes rock solid. 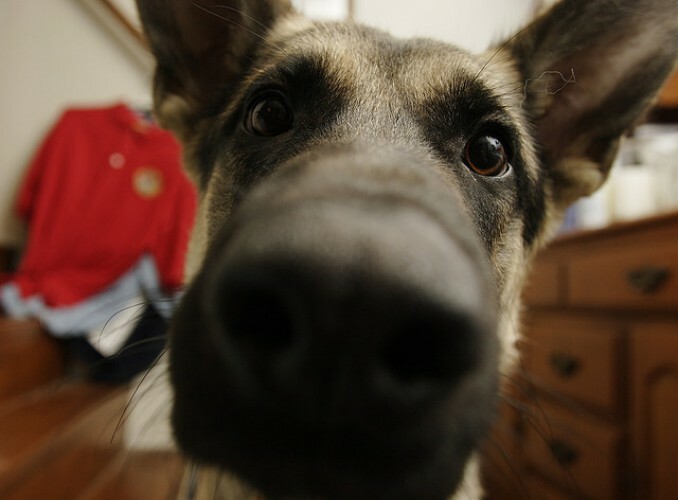 He learns that obedience commands apply regardless how worked up he is and that obedience is fun and part of play. And he gets to play his favorite game. Thank you to Mike Wombacher from the Bay Area’s Dog Gone Good Training for the tip. Originally published in April 2009; reviewed and updated April 2016.